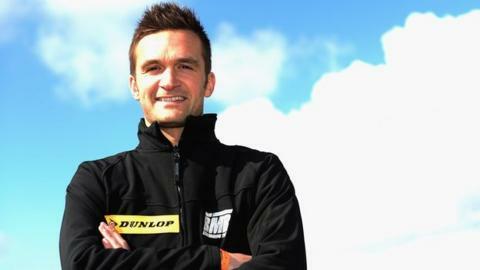 Defending champion Colin Turkington won his first race for his new Volkswagen Team BMR in Sunday's round of the British Touring Car Championship. The Northern Irishman, who had earlier been third in race one, briefly topped the series standings after winning the second race at Donington Park. However, the 33-year-old from Portadown lost ground by coming 11th in the closing reverse grid race. That was won by Matt Neal who is two points ahead of Turkington in second. Race One: 1 Jason Plato (Gbr) Volkswagen 18 mins 54.080 secs; 2 Gordon Shedden (Gbr) Honda 18:55.481; 3 Colin Turkington (Gbr) BMW 18:55.862; 4 Andrew Jordan (Gbr) MG 19:00.041; 5 Sam Tordoff (Gbr) BMW 19:08.408; 6 Dave Newsham (Gbr) Chevrolet 19:09.257; 7 Jack Goff (Gbr) MG 19:14.359; 8 Rob Collard (Gbr) BMW 19:14.394; 9 Adam Morgan (Gbr) Mercedes Benz 19:15.854; 10 Rob Austin (Gbr) Audi 19:16.349. Race Two: 1 Colin Turkington (Gbr) BMW 22 mins 58.065 secs; 2 Matt Neal (Gbr) Honda 23:00.566; 3 Adam Morgan (Gbr) Mercedes Benz 23:06.897; 4 Andrew Jordan (Gbr) MG 23:08.549; 5 Jason Plato (Gbr) Volkswagen 23:08.758; 6 Rob Collard (Gbr) BMW 23:09.047; 7 Josh Cook (Gbr) Chevrolet 23:09.056; 8 Jack Goff (Gbr) MG 23:10.067; 9 Sam Tordoff (Gbr) BMW 23:10.215; 10 Andy Priaulx (Gbr) BMW 23:10.385.